THIS THREAD IS SO MUCH WIN THE TITLE IS IN ALL CAPS BIATCHES! READ THIS **** AND SALIVATE! Fatasses turn around now, this thread may encourage over eating. Food should be something prepared by you or yours, although if it is pure win from someone else/bought poast it anyway! Last edited by tazeat; 12-29-2014 at 10:33 PM. Mmmm smoked brisket, ribs, pulled pork, chiecken and sausage. yea whatever *more to love* sounds less harsh . Im 170lbs and somewhat slim. I love food and drink beer like water. that tater tot/chili dish looks good! Thus far, I find this thread extremely disgusting. 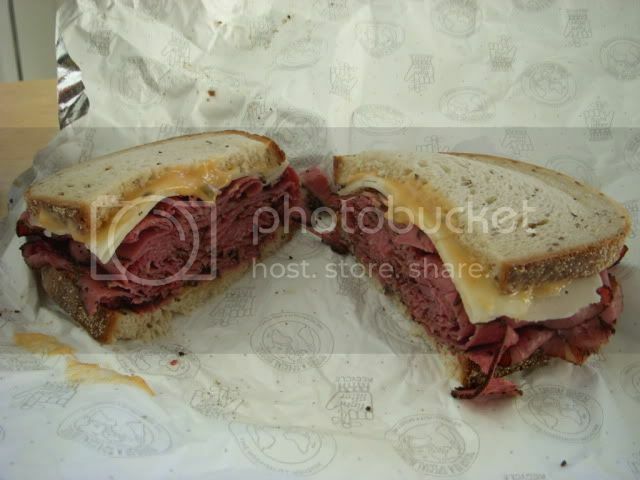 i'm seriously about to go by a reuben now. Seriously... Miller and the king of beers? This. I don't know why they ever bothered butting beer in a can. I am a picky sommabish. I know what goodness is. Last edited by E-Rok; 10-06-2018 at 11:56 PM. poor plate presentation makes all of that look like complete ****. Plate presentation!? This thread is about food, not fine dining. Om nomnomnom. i have no doubt that the food is good, but i like the whole experience; choosing the ingredients at the market, cleaning, cooking, presenting, eating, wine/beer to compliment and the company to serve it to. i've been on a mexican cooking roll lately.. guess you could call that a tortilla? AHHHH I LOVE THIS THREAD!! !